Lease this bike from TBA per week. Kalkhoff is the largest e-bike manufacturer in Germany by numbers. They have been in the business of building bikes for 100 years in 2019 and have developed their own e-bike drive unit, the powerful Impulse system featuring a big battery. A number of models are also available with a Bosch drive unit (the “.B” models). Kalkhoff bikes generally provide good value for money and are all designed for urban use, with all the essentials like mudguards, racks and lights standard. 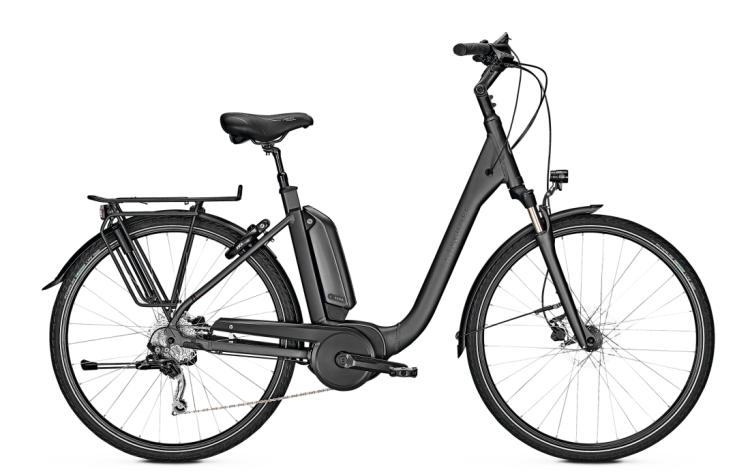 Most models come in different frame shapes and a large number of sizes.The Agattu models have been a signature Kalkhoff e-bike since the start, keeping up to date with technology improvements every model year. The 3.B Dynamic model comes with the silent Bosch Active Plus drive unit and Shimano 10-speed derailleur gears.